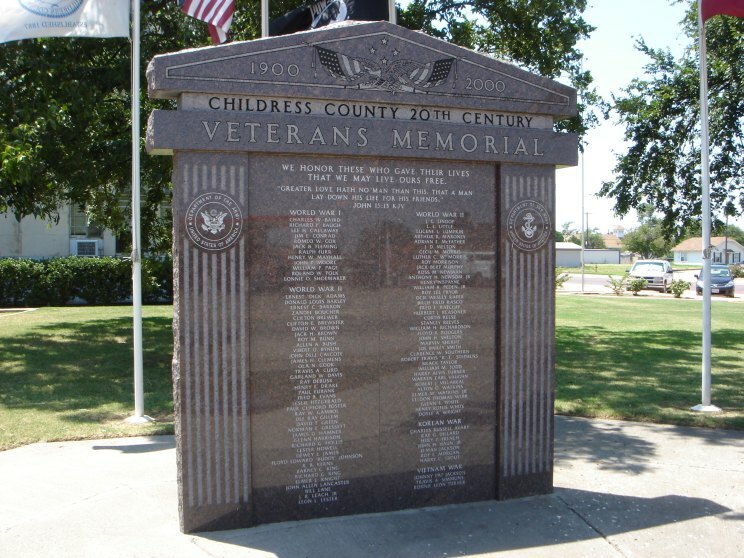 The Childress County 20th Century Veterans Memorial located on the grounds of the Childress County courthouse in Childress, Texas is dedicated to Childress County citizens who served in armed conflicts of the 20th Century. 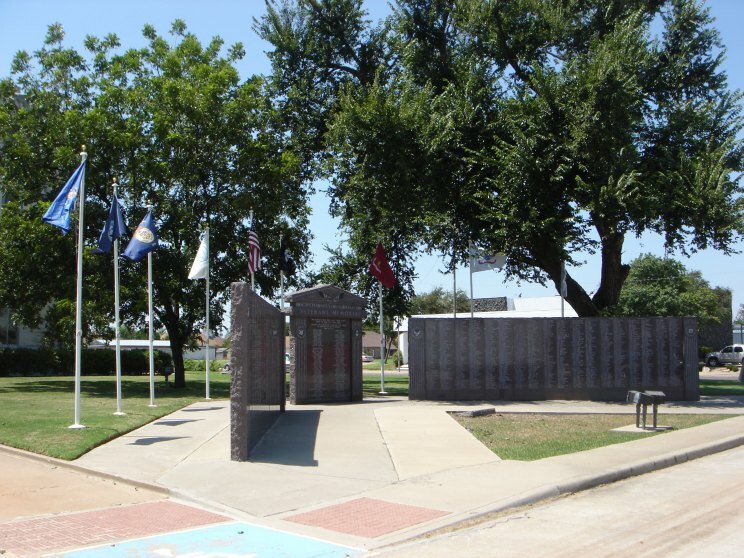 Another view of the Childress County 20th Century Veterans Memorial. 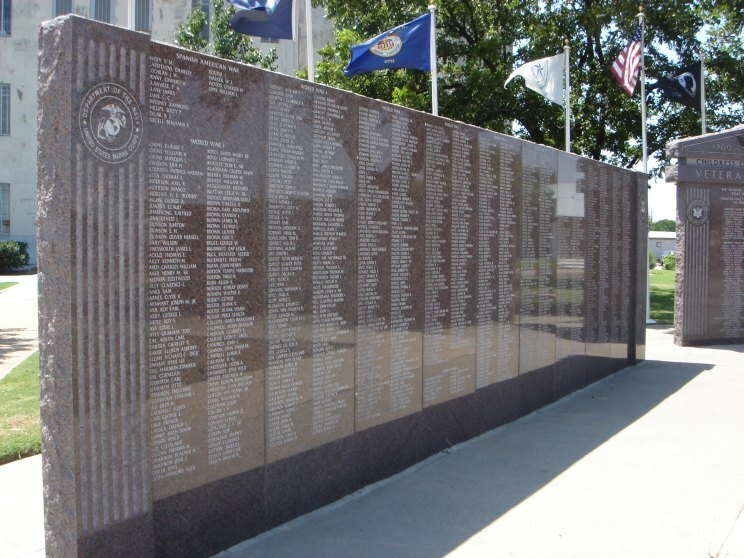 Close up of one of the walls of names. 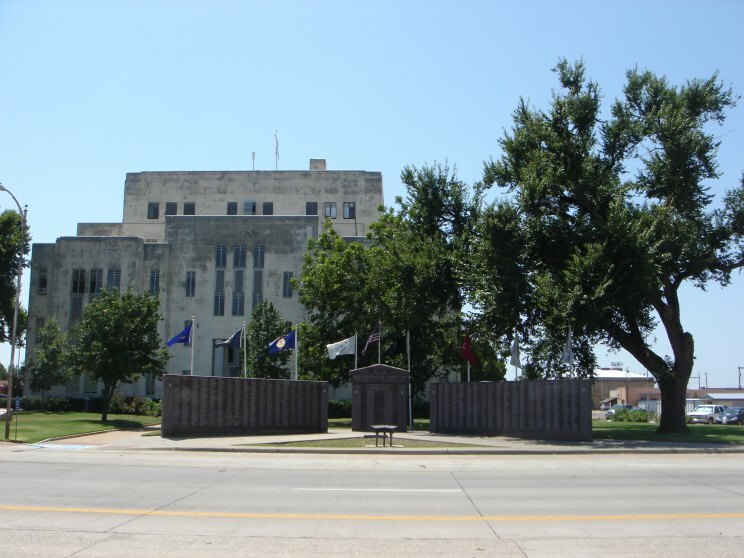 Close-up of the center of the memorial. 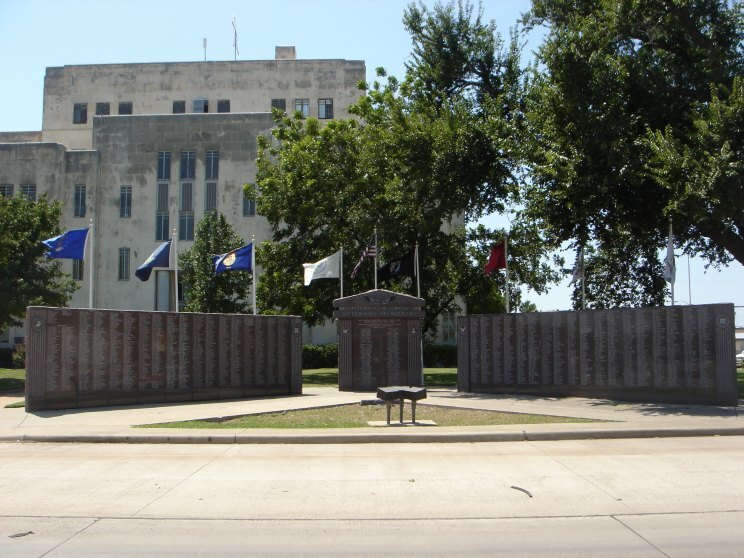 A view of the back side of the memorial. 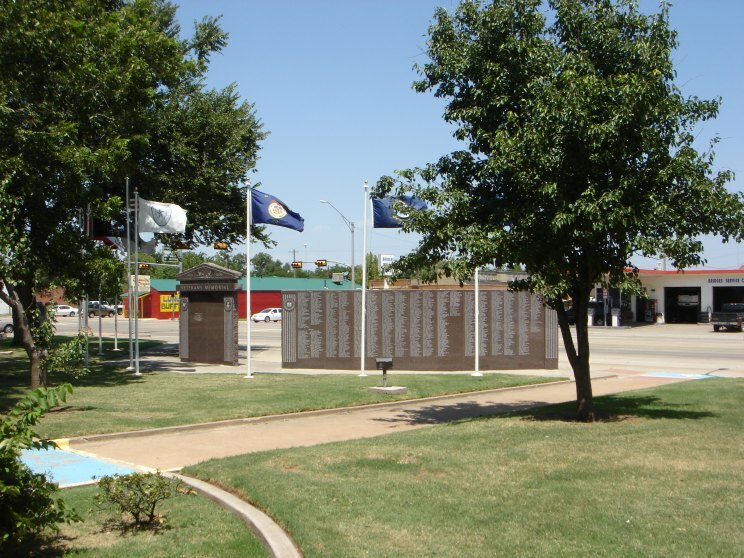 Overview of the Childress County 20th Century Veterans Memorial.